I love a good rainy day and here in the Pacific Northwest, we get a lot of them. This time of year seasonal depression tends to run wild as the days get shorter, the sky turns gray, and cold wet weather forces us to spend time indoors. However, despite the gloomy weather, rainy days are actually some of my favorite. Life can move at such as fast pace that it's easy to get caught up in the day-to-day hustle. Rainy days are the perfect time to slow down, unwind and make time for some much need R&R. Not sure how to spend those blustery days? Here are five of my favorite things to do when it rains. Snuggle up on the couch and get lost in a new book or -- come back to the one you haven't had the time to finish. So often, we start a book but then get sidetracked by life. Take advantage of this opportunity to slow down and dig into a good novel. Nothing cures rainy day blues quite like baking something sweet. Scroll through your Pinterest recipe boards and try your hand at that new treat you've been meaning to try. Bonus: Share what you made with your neighbors. They will love the gesture! 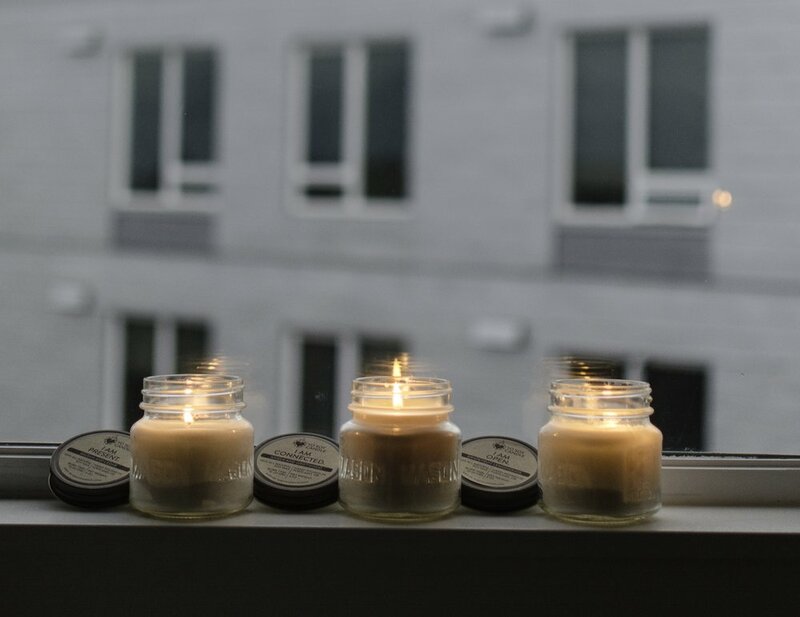 Grab your journal, dim the lights and set the mood by lighting a candle (I'm really loving our I AM INSPIRED Pine & Thyme scent). Use this time to reflect on your goals and set intentions for your work, your personal life, and relationships. Take some time to think about where you want to grow and what reality you want to create for your life. Rainy days are the perfect time for a little TLC. Make a DIY face mask (I love REMEDY by Kore Herbals), deep condition your hair, give yourself a mani/pedi, take a long bath and give your body all the loving you're too busy to give it normally. Perhaps the best part about a rainy day is its ability to force us to slow down. Catch up on your sleep, binge-watch your favorite Netflix TV show, pour yourself a glass of wine and allow yourself to relax in whatever way works for you. What's your favorite way to spend a rainy day? Comment below and share!